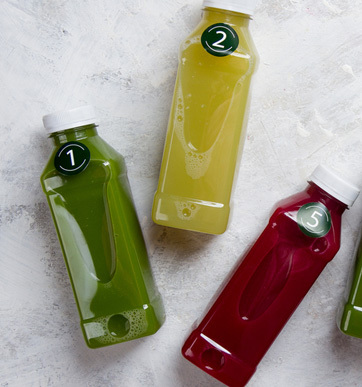 “New year, new you,” promise the hottest new detoxes. And claimed benefits are appealing. Who doesn’t want to purge away those holiday overindulgences? Who doesn’t want to feel and even look better? Glowing, blemish-free skin? Increased energy? Weight loss? Count me in. But, before you’re compelled to hand over your CC, you should understand that real detoxification can’t be ordered off a menu or from a juice bar. Detox is actually a medical term that has been co-opted to sell products. Detoxification occurs in emergency rooms where critically ill patients threatened by alcohol, drug, or poison overdose have their stomachs pumped with a thick substance that absorbs these toxins and prevents death. So, why are we tempted to buy into the concept of the drugstore detox? Even the earliest civilizations adhered to rituals of detox because there is something persuasive about trying to rid our bodies of presumed harmful substances that have accumulated. But, there is no evidence that toxins actually accumulate. There has never been any documented cause of toxic colon sludge or plaque build-up in the kidneys. We’re made to believe that these organs amass toxins and that they need to be regularly “cleansed.” But, the liver, kidneys, lymphatic system, and skin—all organs that protect us from harmful substances—don’t work this way. They can’t be squeezed out like a sponge or replaced like a vacuum filter. They typically remove bodily toxins through chemical reactions or with the help of the immune system. They don’t become clogged and as long as your organs are free of major disease, they should work just fine. Importantly, detoxes mostly aim to “cure” vague symptoms like fatigue, mind fog, and muscle aches, not medical conditions. Indeed, there isn’t one well-designed study in the scientific literature supporting detoxes for any real medical benefit. There is actually more evidence that they may cause harm. Because they are often restrictive, they can cause electrolyte imbalances leaving detoxers dehydrated or lacking nutrients. And because many rely on laxatives, they can also cause diarrhea and fatigue. Perhaps not the motivational message you wanted to hear this New Year. But, there may still be some benefit to a short detox program. Detoxes often help people refocus priorities and encourage adherence to healthier diets, exercise, and mindfulness. There is no quick fix or detox that cleans you inside out, but the mental refocus and discipline required to complete a detox is often motivation enough to commit to healthier choices. The bottom line is that a healthy body and healthy skin depend on diets rich in fruits, vegetables, healthy proteins, omegas and complex grains. They depend on regular exercise, stress reduction and plenty of sleep. When it comes to the skin, I help patients with long term, practical plans that in addition to science-based products and treatments, focus on complete nutrition and stress reduction. Healthy skin is a lifestyle, period. Don’t try to buy it in a box!